Light up your life with Mayne’s Signature Lamp Post. Crafted from 100% high-grade polyethylene this Lamp Post is durable and built to last year after year with built-in UV inhibitors that protect the Post from fading or yellowing under the elements. 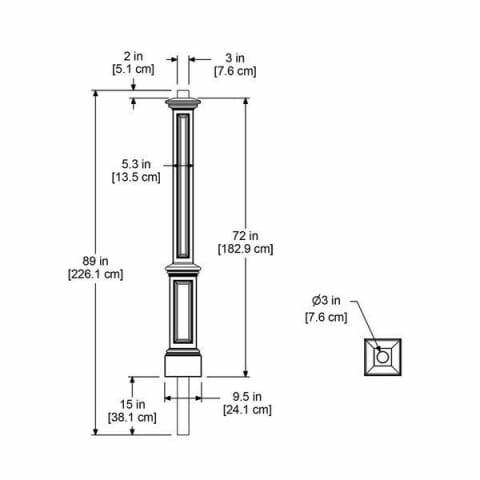 Included is a beautiful 6-foot decorative Post with the option to purchase it with or without an aluminum ground mount conduit. Mayne’s low maintenance Signature Lamp post is a great solution to any outdoor residential lighting needs.